Awww, how cute she is! Kylie Jenner has shared some sweet photos of her daughter Stormi Webster, 5-month, within a month after the Lip Kit creator claimed that she wasn’t sharing pictures of the baby girl. A second snap showed the little bundle of joy cuddling up to the proud mother, as the Keeping Up with the Kardashians star writes alongside the picture, “nothing better”. 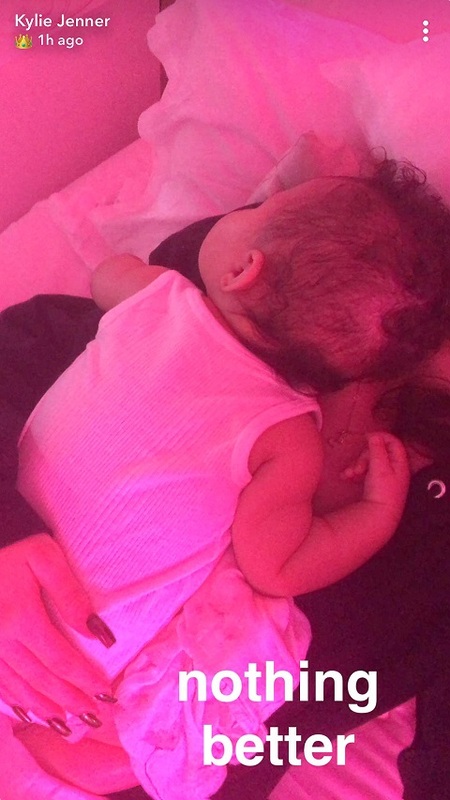 As previously reported, in the early June, the Life of Kylie star's social media fan followers accused her of cropping Stormi out of a photo after which she revealed that she wasn’t going to post pics of her daughter “right now”. Stormi is Kylie and his boyfriend Travis Scott's first child, whom they welcomed on February 1, announcing the baby's birth with an Instagram post.